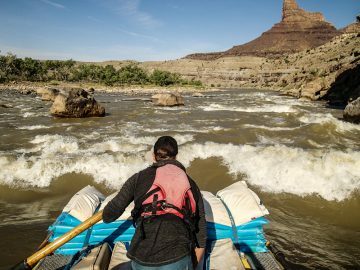 With five incredible national parks, the country’s best ski resorts, slickrock mountain biking, and multi-day river trips, it’s easy to understand why some people call Utah the “confluence of adventure.” Now, with the newly created Bears Ears National Monument, there’s another, much older brand of adventure stirring. For centuries, the Hopi, Zuni, Ute, and Navajo have lived among these sandstone canyons, hunted in mountain meadows, worshiped on the mesas, and built villages beside the rivers in Bears Ears National Monument. As a result, the region is packed with rock art, ancient burial sites, cliff dwellings, and other artifacts. It is one of the most significant cultural landscapes in the United States. 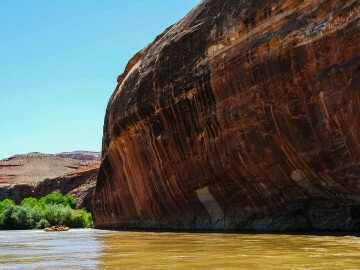 The San Juan River forms the southern border between Bears Ears and the Navajo Nation. To float the warm, Class II current is to travel back in time through a majestic red rock labyrinth. 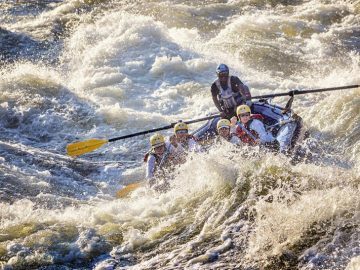 If you start your 83-mile journey at Sand Island, you will have the chance to raft past River House Ruin. It is a two-story, multi-room dwelling that is tucked beneath a sandstone cliff. Inside there are petroglyphs, shards of pottery, and stone tools left on the dusty ground. Ancestral Puebloans lived here between AD900-1200 before they mysteriously disappeared. 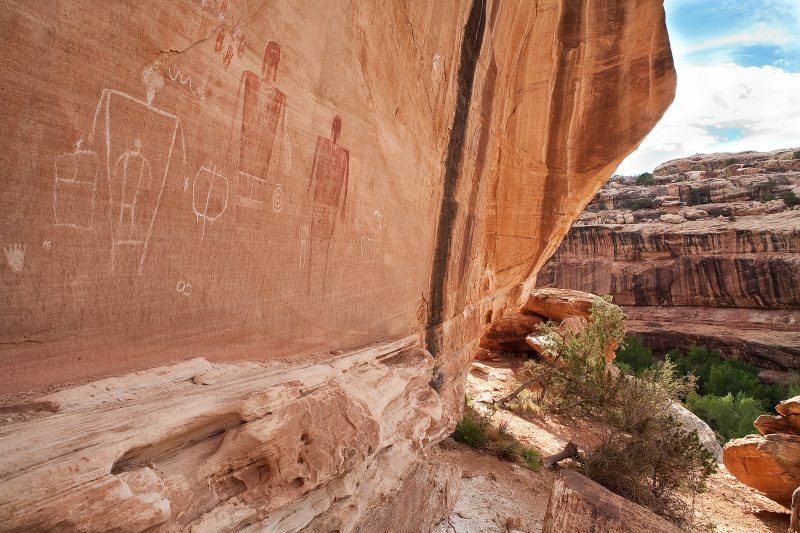 One hour south of Moab is the world-famous climbing hub of Indian Creek, and there you will also find a 200-square-foot sandstone panel with over 600 petroglyphs. 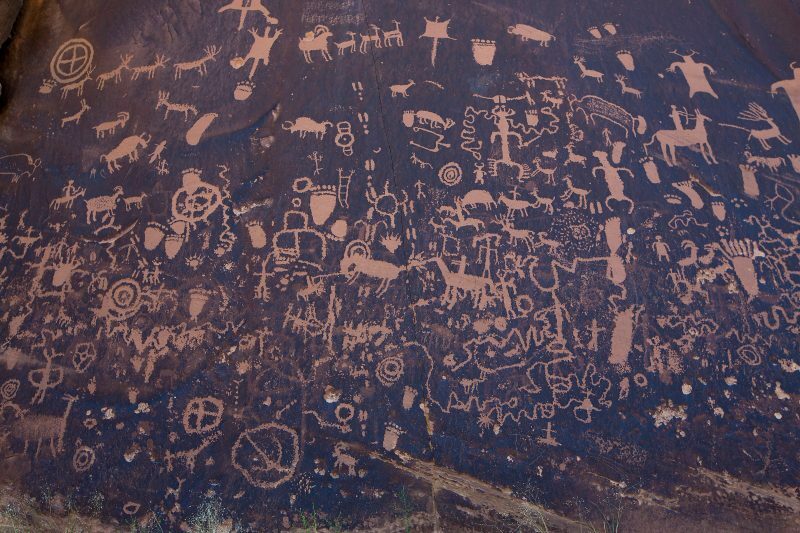 Newspaper Rock is one of the largest, best-preserved, and most-accessible rock art sites in the Southwest. It features etchings of riders on horseback, antelope, buffalo, and abstract forms that were first carved over 2,000 years ago. 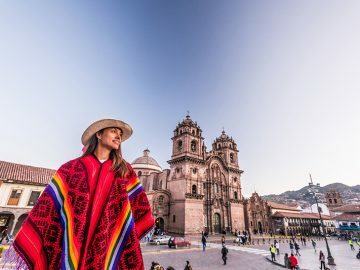 At first the images appear haphazardly arranged, on closer inspection, however, you can read about the crop cycle, hunting patterns, and mythologies that guided their ancient lives. If you have ever watched a John Wayne Western or the HBO series Westworld, then you have seen Valley of the Gods. It’s located in the southern portion of Bears Ears National Monument near the small town of Mexican Hat. It’s a red rock region of soaring monuments and spires that the Navajo believed were immortalized warriors. 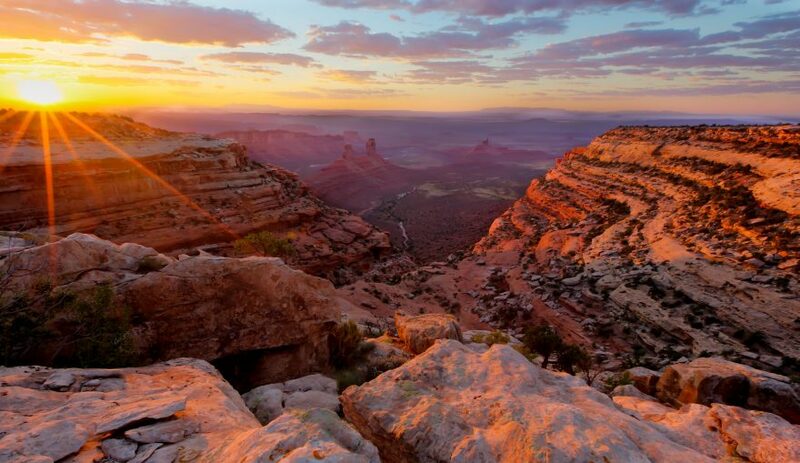 The best way to visit Valley of the Gods is to hop on the 17-mile unpaved loop. At any point, you can hike across the open desert toward the hills. 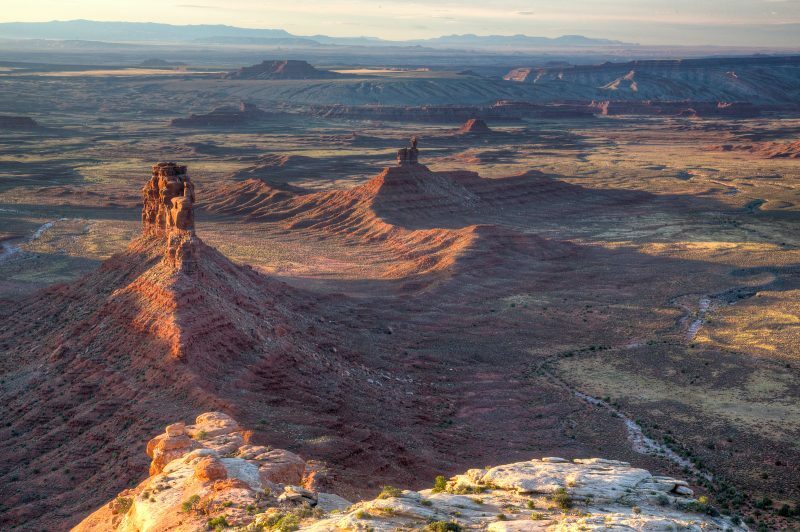 If you hike up one particular mesa, called Moki Dugway, you will be massively rewarded with panoramic views of one of the greatest geologic marvels on earth. The 52-mile hike through Grand Gulch is one of the most unique backpacking trips in the world. As you hike deeper and deeper into the wilderness you will discover more and more cultural artifacts. 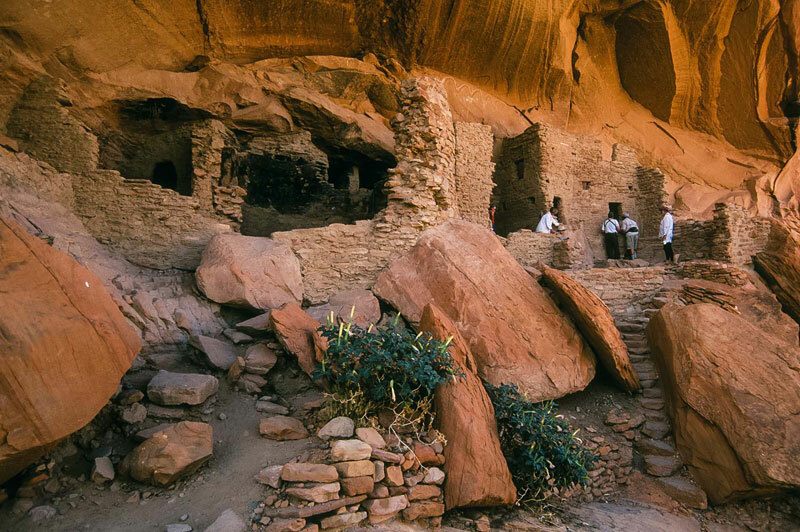 Cliff dwellings, kivas, granaries, and watchtowers are seemingly around every corner, and pottery shards, arrowheads, and petroglyphs are in abundance. Before North America was colonized, it is believed that Grand Gulch had the densest population in the country. Think of it as a pre-historic Manhattan. There are many trailheads to enter the canyon, but Kane Gulch is the most popular because the drama begins within a mile as you pass through a giant sandstone fortress. 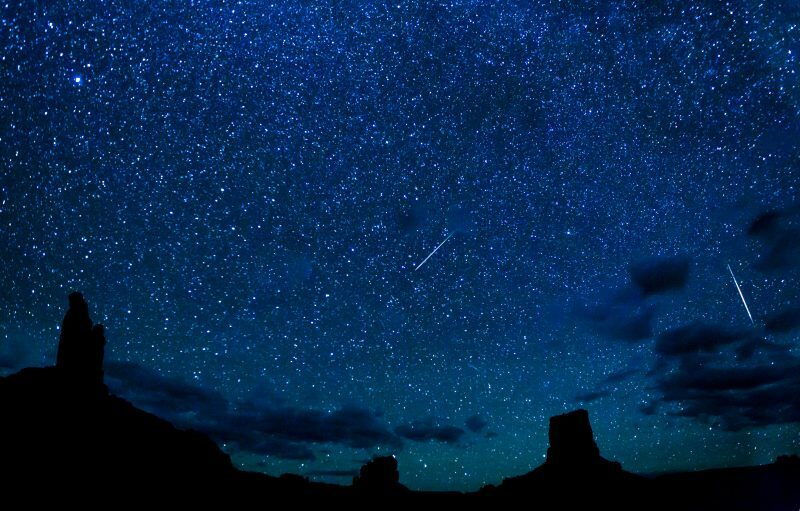 The transcendentalist poet Ralph Waldo Emerson once said, “If the stars should appear one night in a thousand years, how men would believe and adore and preserve for many generations the remembrance of the city of God which had been shown.” When night comes in Bears Ears National Monument, the sky becomes a planetarium. The dry desert air and lack of urban glow allows the stars to shine bright. There are hundreds, if not thousands more stars than you have ever seen anywhere else. Stare long enough and you might believe what old Ralph said, and understand why they preserved Bears Ears National Monument for generations to come. Click here for more info and to plan your visit to Bears Ears National Monument.